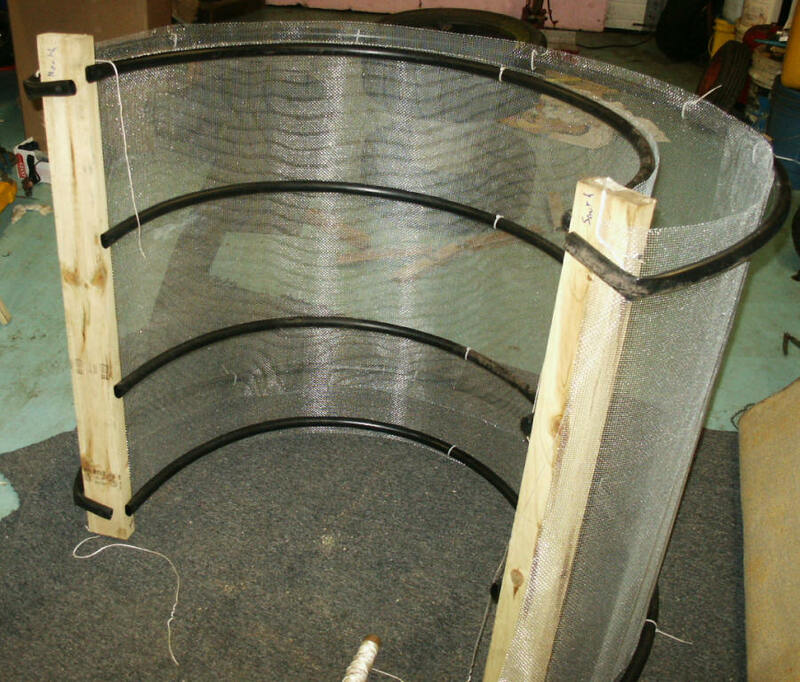 This project from Chad adds an evaporative cooler around the outside of a conventional outside AC condenser coil. The evaporation of the water in the cooler pads cools the air going into the condenser coil and substantially increases both the capacity and efficiency of the AC unit. Evaporative cooler on condenser coil. Chad provides a lot of detail on how to build the unit. All of the parts are readily obtained locally or online. The picture above shows the screen enclosure for the evaporator pads. The pads fit between the two screens and are the same type of material as used in regular evaporative coolers. The pump and all the valves fit in a 5 gallon bucket that sits next to the condenser coil unit. An advantage of this method compared to just spraying water directly on the condenser coil is that mineral deposits do not build up on the coil.